Why Segment My Subscriber Lists? Email segmentation is when you split up your email subscribers into smaller lists based on a variety of criteria. This is mainly used to personalize email messages as we can send more relevant messages to smaller groups. Segmentation can be by any criteria you choose: demographics, geographic location, purchase behavior, campaign behavior, etc. As long as you have data on it, you can segment your lists for it. Long story short? Blasting your subscriber list with the same tired message doesn’t work. Think about it– your email list is made up of individuals, each with their own motivations, interests, shopping habits, etc. They are all unique, and they expect a personalized experience. So why would you send the same generic message to all of them indiscriminately? Increased campaign engagement: It’s common sense really. When you send a message that’s more pertinent to a customer, they’re more likely to interact with it. By reducing the amount of subscribers in your segment, you can tailor your messages to better respond to your customer’s needs. Improved customer loyalty and retention: In responding specifically to your customer’s needs, you improve their image of your brand. By personalizing their experience, you show your customer that they matter to you. This helps you create a more profound connection with your customers. Less unsubscribes and spam: When your email segmentation is done right, your message will always be relevant. Relevant messages are less likely to come off as spammy and unwanted- because you’re giving the customer exactly what they want. This improves your deliverability and domain trust reputation with less emails sent to spam. Email segmentation allows you to deliver a better overall customer experience. When you can do that, your customer will reward you for it. As I mentioned before, if you have data on it, you can segment for it. There are tons of ways to segment your email lists. Depending on your needs and the needs of your customers, you can pick and choose the best segments. The different types of segments typically fall into three main categories. I know what you’re thinking. You’re thinking I promised you tons of ways to segment your email subscribers, and then I delivered three. Never fear. Within each of these categories are several subcategories, and then within those are even more subcategories. We’ll touch on the most useful types of segments. Segmenting your subscriber list based on shopping behavior is probably the most fun way to segment your lists. It means you have a plethora of different ways you can use these filters to communicate with your customers no matter where they are in their unique customer journeys. 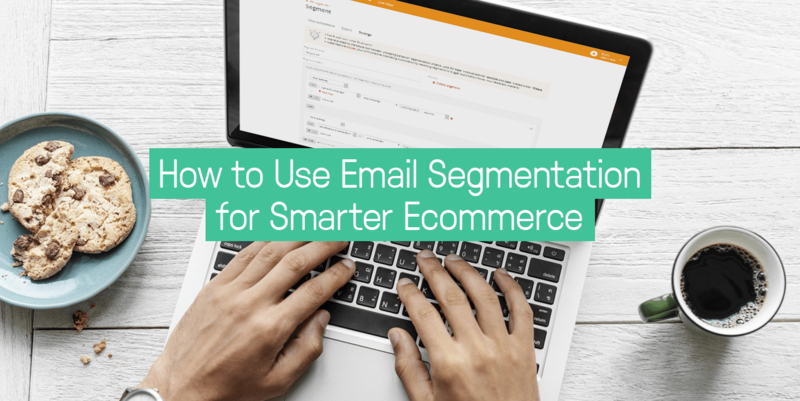 With customers who have already purchased from you, email segmentation can be your best friend. By segmenting your shoppers who purchase frequently, or every so often, or one-time purchasers, you can send ultra relevant messages every time. To give you an idea, for your frequent shoppers, upselling items that accessorize well with recent purchases is always a hit. But for less-frequent shoppers, perhaps a good discount or sale would be enough of an incentive to get them back to your store. One-time purchasers would fall into reactivation. Perhaps they need some more time before they can purchase again. Pull them back into the fold by focusing on their previous purchase and ask for a review. Another great way to segment based on shopping behavior is to segment your list based on which of your customers spend the most at your store. It goes without saying that your most valuable customers are those who spend the most with your store. This can either be through total amount spent in frequent purchases, or less frequent purchases with high average order values (AOV). Regardless, both types of customers are valuable to you and you wouldn’t target them the same way. Perhaps you would focus on promotions with customers who made frequent smaller-priced purchases, and perhaps you would focus on upselling based on what the customers who make infrequent, high-dollar purchases already bought. If you have a loyalty or rewards program, it would also be a great idea to use email segmentation to send more relevant messages depending on what tier they fall into. This way, you can always make sure the right members of your program are getting the right messages. Another cool way to use email segmentation is by automating when a customer enters and exits a particular segment. Simply put, you can set up a particular trigger that automatically segments one of your subscribers. 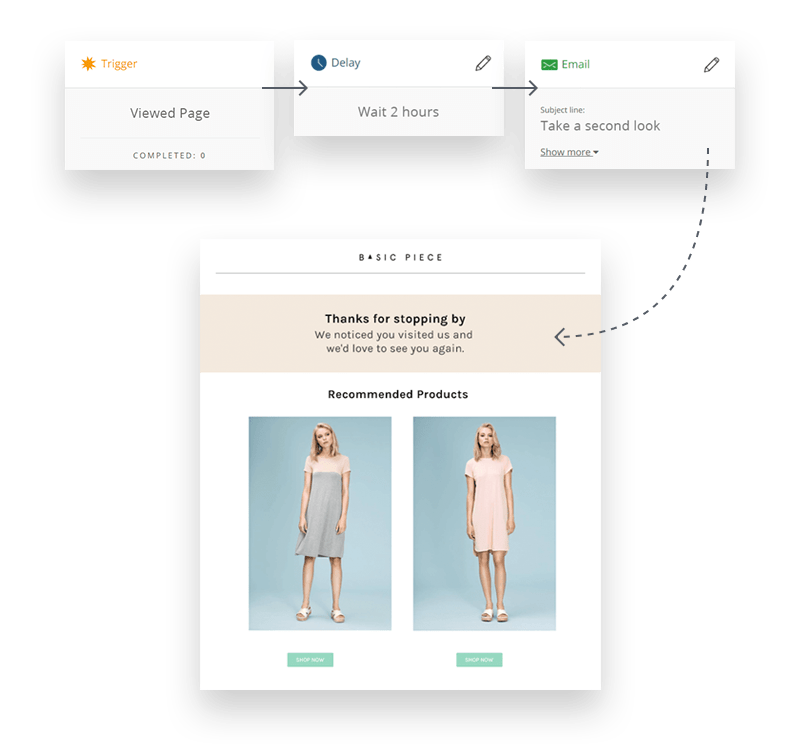 This can be based on a customer visiting a particular landing page without signing up, or if a customer doesn’t purchase for an extended period of time, as an example. From there, once a customer enters into a particular segment, or exits a segment, they can trigger a certain workflow. While this might seem abstract, put into practice, this segmentation can really impact sales. Segmenting based on email activity is a great way to welcome new subscribers, reactivate subscribers that are inactive or about to churn, and reward active subscribers with special offers. From here, you can choose which campaign the customer has or hasn’t been sent, opened, or clicked. You can even pick what time the campaign was sent. 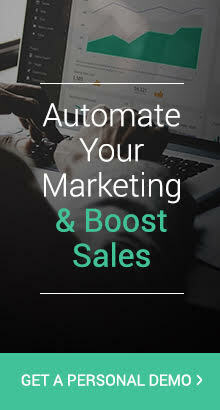 For example, you can choose “Any customer who has clicked on any campaign in the last 2 months” and another segment for “Any customer who has not clicked on X specific campaign” to send different messages. By using campaign behavior to segment your email lists, you can target customers who are slipping away with one message while simultaneously targeting highly active and engaged customers with another. This helps you keep your messages relevant to the customer based on how they are already interacting with your campaigns. Profile data is basically any kind of data you have on your customer that describes them. This helps you define who your customer is and how best to target them. …and many more. These kinds of segments are useful when you have a large amount of subscribers, because not everyone in each demographic is going to react and purchase the same way. 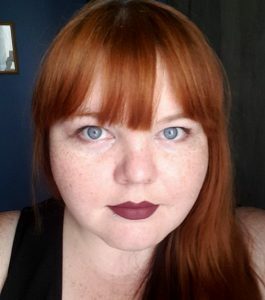 Consider this: are you going to send the same product recommendations to a 21 year old female college student as you’d send to a man in his 40s with a successful career? The college student is likely to have less disposable income and be more sales and promotion conscious. While the 40-year-old might appreciate a good promo or two, he’s likely going to be easier to upsell and offer high-quality items to. These customers are likely not purchasing the same things, so why offer the same message? You can convert them both with light demographic email segmentation and the right email. This kind of segmentation works well if you have customers that span across several regions, countries, and even continents. If your site is available in different languages, and you ship to different countries, you should be segmenting your customers around that too. Especially after the GDPR, the way you maintain and send out information might differ for European customers. What’s more, European customers won’t shop the same way, observe the same holidays, or respond to the same promotions as a customer in Asia or the Americas. If you have a brick-and-mortar, or several, it’s important to send out regular local promotions in addition to your site or location wide ones. Segmenting based on geographic data is also useful in sending your emails with the right timing. If you can choose to send an email based on the best time in your customer’s time zone, you’ll improve your open and click through rates. While interests and values are not necessarily information you might have, it can definitely be useful to you. For example, if you have customers who are interested in free-trade or other ethical goods, it might be a good idea to segment those customers when you have this kind of products or news about your company. Information of this kind may not convert every time, but it will help you build a rapport with your customers. Lifestyle is particularly useful information, as you can tailor your products that fit best within the lifestyles of your customers. Let’s say you have a customer that’s a health nut, and you sell apparel. Launching a new line of activewear would be relevant information for that customer. 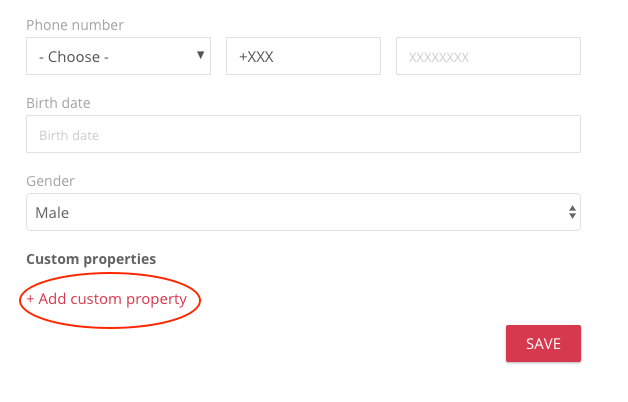 Creating custom properties to segment your email lists means you can literally segment for anything you’ve got data on. From there, you just need to decide on a name for that property, so in this case, it would be “favorite_colors.” Just be careful to use this exact case-sensitive name for all of your customers or you’ll lose a few along the way. Then you add a list of potential values that category would have, like “blue, red, green, black,” etc. 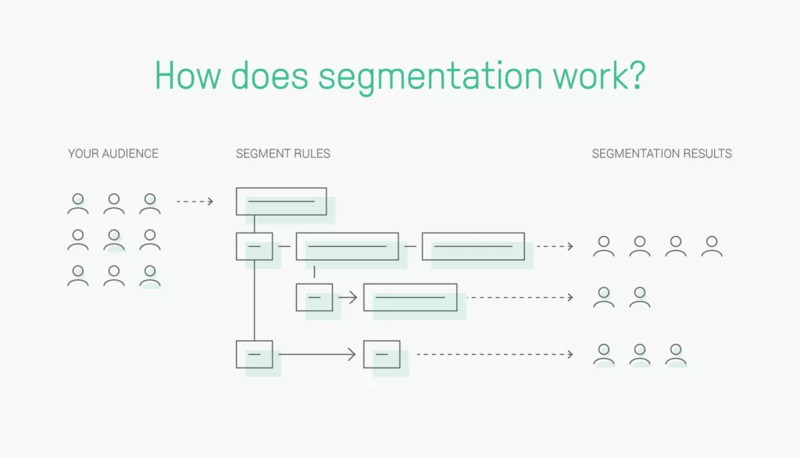 Then when you’re segmenting your list while building campaigns, you select that you want to segment for that by choosing profile data, and then the custom property you’ve created. And voilà. A lovely customized segment based on anything you choose. With custom properties, the possibilities are endless. 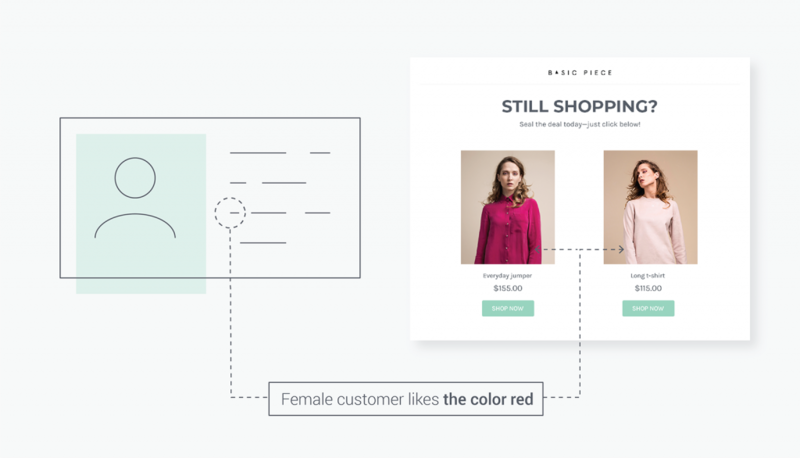 Layering your email segments means you can get super precise when targeting certain customers. So let’s just say I have a new line of products that I want to target my female shoppers with. All shoppers who made a purchase after November 8th received a special discount to be used for Black Friday weekend. I create a segment from all my subscribers by filtering only for females. Then I select via shopping behavior to target all women who purchased after November 8th. I also want to target activated subscribers, so I added yet another criteria for subscribers who had clicked on any campaign sent after November 9th. I could also choose only the shoppers who clicked on the specific campaign offer I sent after November 9th. I could also create a separate segment for shoppers who didn’t click on that campaign, or didn’t even open it. This is just an example, but it shows you how you can mix and match your email segments to create ultra precise campaigns. 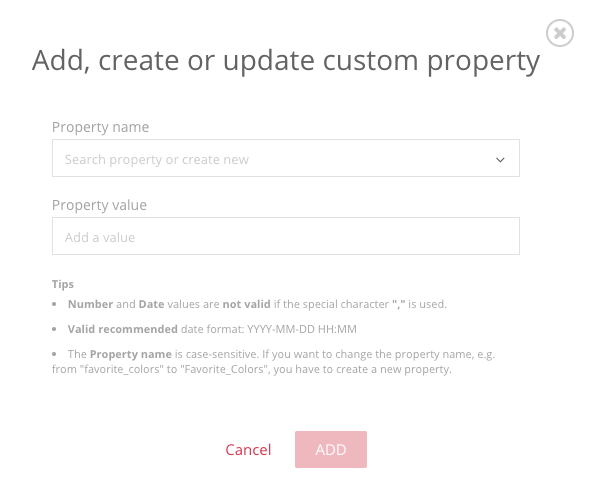 When you combine the fact that you can create customizable properties for nearly anything you’d like and add that layer of segmentation, the sky’s the limit. By layering your email segments, you can send extremely personalized messaging. The smaller your segment, the more personalized you can make your campaigns. Email segmentation is too easy and effective to not use it. While it can seem complex at first, using the right tool to segment your lists can make all the difference. Regardless of the way you use email segmentation to split up your subscribers, it’s all about sending the most relevant message to your customers for a personalized experience. We know that customers are looking for that- and when you give the customer what they want, they’ll reward you for it. What are your best email segments? Got any tips I missed? Let me know below!